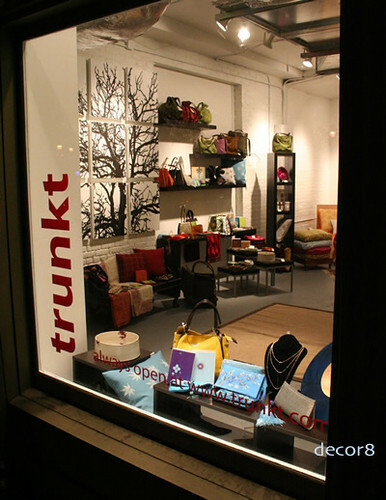 Trunkt is a store that I can't wait to visit in person, it's operated by really great people who have a lot of pride and passion for what they do and look at these photos, they can totally rock out a retail space - this place is stellar! Maybe you spotted them in a recent Daily Candy feature? 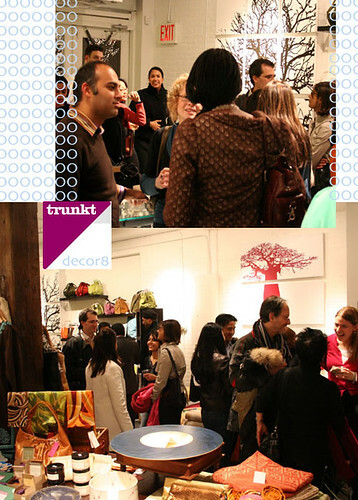 With their online store, and their brand new flagship space in NYC (Tribeca), Trunkt is a unique place that celebrates the indie artist, and that's just great in my book because everyone enjoys owning something exquisite and special from a person that designs from the heart. I think you'll really like the store profile below along with photos of their retail space that Trunkt passed on to all of us. The party photos were shot last night at their launch party - looks like so much fun! "Imagine my surprise when we started getting traffic from one of our favorite blogs! Thank you for the mention of our online store in your 1201AM post. She really does have beautiful cards. They've been flying off the shelves of our online store as well as our store in Tribeca, New York City. 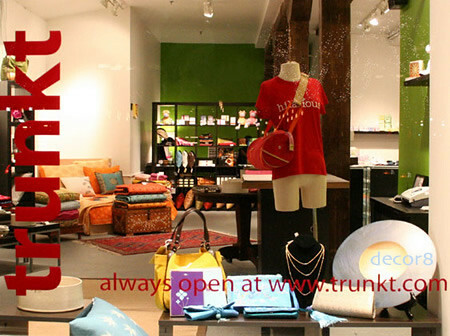 Trunkt now features the works of over 100 small, independent designers. 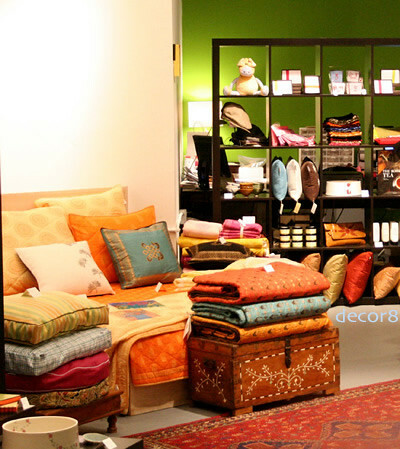 Some accessories (men and women), some home accents (pillows, bedding, ceramics etc. 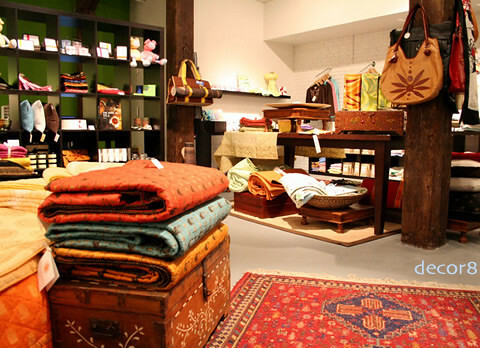 ), some paper and art (paintings,tiles, prints, stationery) but all vibrant, unique and very cool. We sell our member designer's products online and at our Tribeca Store which opened 3 weeks ago after 2 temporary stores in a garage in another part of Tribeca. We're now in the beautiful Fischer Mills building which one of our customers helped us get. Couple of exciting new designers joined us in the last week that I think you would love. They're both graphic designers: Atlanta-based Tobi Wood makes the most eye-popping stationery and journals. We're the first to feature her new spring collection online and in our store. NYC-based Laura Loving makes gorgeous decorative tiles."